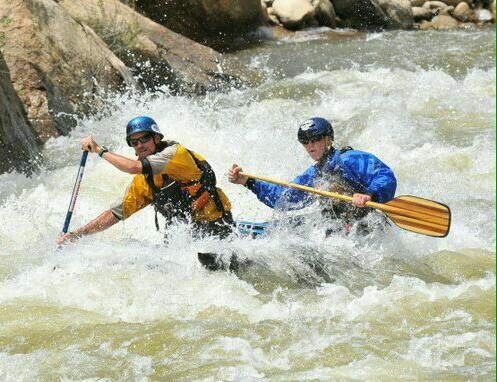 WHIRLPOOLS ~ A Father & Son, and Raising a River Man | DBP MAGAZINE ONLINE The World's Best Free Whitewater Publication. I am a 26th Year professional river guide and instructor, having logged over 22,000 commercial river miles, a class V guide since 1995. Known by my peers to be “over the top” when it comes to safety and the well being of those I am charged with taking down any stretch, I consider every trip seriously irrespective of difficulty or flow. Before the birth of my only child Tristan, being a respected pro guide was what my life was all about, though once my son was brought into this world that all changed. Still I am proud of the lengthy career I’ve carved out of what is for most folks a ‘summertime job’. 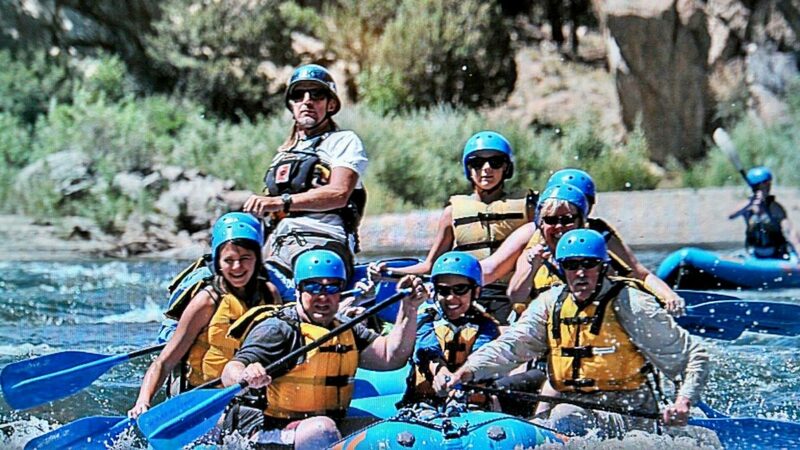 I loved the river guide lifestyle so much that, during the summer of Tristan’s 3rd birthday I began to take my child on the trips I was booked on. Back then I owned my own river outfitting company with a good friend of mine as my business partner – I basically wrote the rules we went by and I was able to bring my son on any trip I deemed safe enough to include him on, without any input or doubt from those who worked with me. 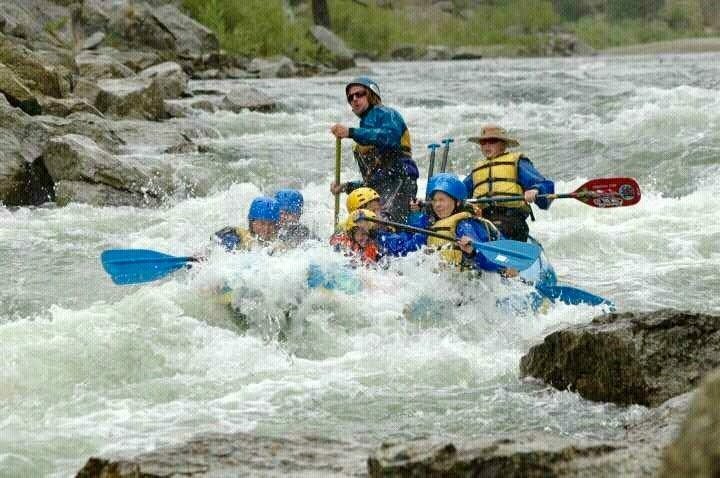 We started on the mellow waters of the beautiful Upper Colorado River, a stretch of class II/III whitewater better known for its gorgeous canyon scenery and abundant wildlife more so than the whitewater contained within the run. My son immediately connected with the river, his little fingers fanning out in the the chilly waters as he drew pictures only his wee mind could see while I chatted with my customers as we floated down river. That usually got the crew to laugh a little and always seemed to loosen up everyone onboard. His lack of fear and extreme confidence in me, and the fact he’d always proudly proclaim how many times he’d done the very same trip without any incident always seemed to have a positive effect on the people under my care. My son was my little river buddy, and he always helped me do the really hard work of cleaning all the equipment from each trip and then putting it all away, handing out hugs and waving goodbye to our guests. The best part of the day for him back then was when I would get a gratuity – I’d always give him his share and he’d use it to buy little things he wanted. Sometimes he’d get me a treat too for he also knew his Pops had a sweet tooth! As summers turned to winters and months turned to years, Tristan grew into quite the courageous little waterman, eventually joining me on more difficult trips. 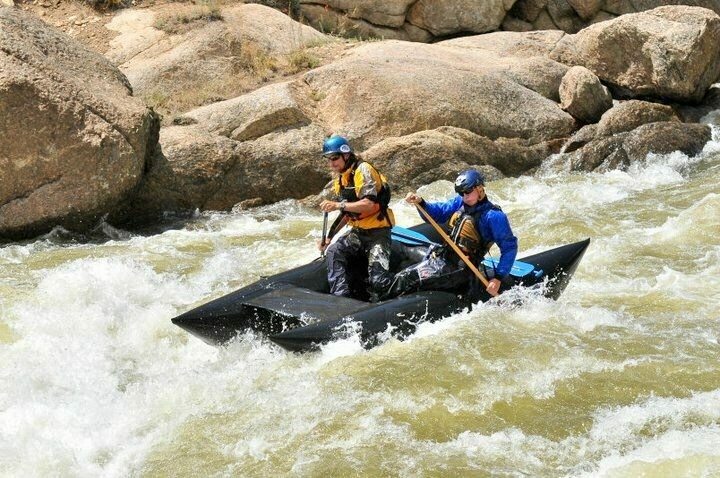 By the time he was 6 years old he was next to me as we charged down the very popular class III/IV Browns Canyon section of the mighty Arkansas River, usually arms held high in the air as he yelled triumphantly “YEEEAAWHOOO” while I’d be hollering paddle commands and making maneuvers. By then I’d sold my little raft company and went back to the crew I started out with, my son’s enthusiasm and fearlessness endearing him to the group of young guides I was working with, so nobody minded the ‘extra passenger’ I usually had tagging along on my trips. Hell, I think some of them wanted to become parents themselves if only to have a child like my son. They loved having him on the water and running around the boathouse, for his energy and laughter was infectious and everyone caught it – including myself! Have I said how much I love my son??! I went through the divorce of my son’s mother the year after his birth and though I enjoyed shared custody, it was hard fought for and we didn’t get along very well, especially when his mom would date another guide or take our son on the water with someone else. Tristan would always tell their ‘other’ guide WHO his dad was and later after returning home ask me if I knew the guide personally. If I did, he asked what I thought of him and the company he worked for. Though we weren’t friendly very often, Tristan’s mom would always admit that I was “the best guide she’d ever known.” In fact it’s how the two of us met – she was in my raft on a trip I was leading. 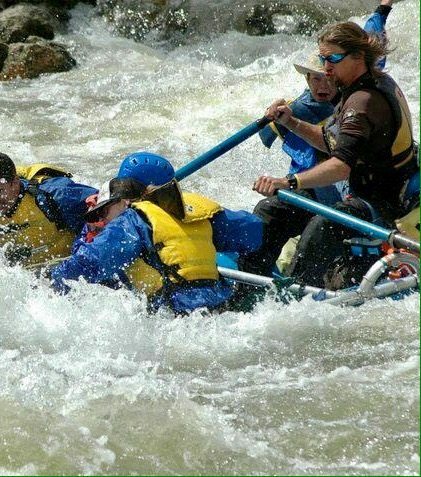 After witnessing me pull a couple people out of the water after they had fallen out of other companies’ rafts, she was motivated to write a letter to the editor of our local newspaper about her trip, the experience, and how she believed we were the most skilled and safest crew to run the big waters with. Admittedly, back in those days my reputation for being extremely serious about the career I had chosen and the necessity for safety at all costs wasn’t always considered a good trait. Often my enthusiasm and passion was likened to the guy who was made famous by his exuberant exclamation of “SNAP INTO A SLIM JIM” as much as his pro wrestling ‘prowess’. I took the joking in stride though deep inside it bothered me that others just didn’t get it, that what we do as professional guides is a noble thing and deserving of respect, but only when done by those that bring an attitude of professionalism to their crews and a desire everyday to run the cleanest, safest trips possible, while teaching their guests why rivers are so special and in need of protection. Show your customers a good time while keeping them safe and you’ll have return guests every summer. Educate those same people on the necessity for clean, free-flowing rivers and streams and the dangers facing each and every one of them and you create passionate warriors of river conservation for life. Some may even become stewards of creeks and streams near their own homes and help spread the gospel of watershed protection to everyone they meet. I’ve always strived to do both – provide fun and safety in an outdoor type educational environment. 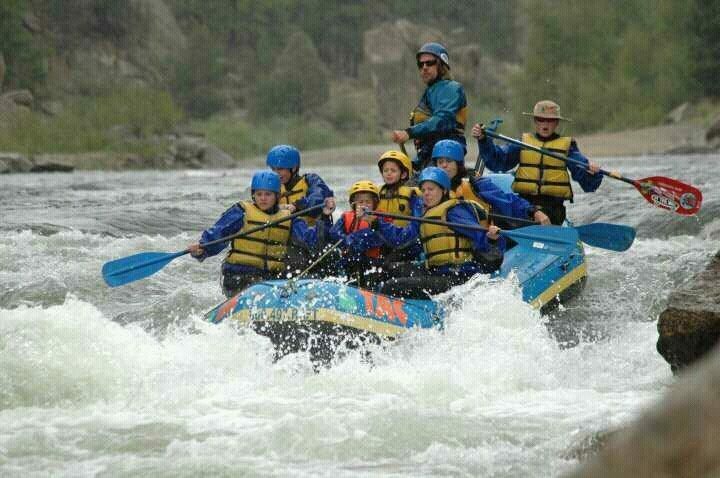 My raft is my craft and my classroom, in it I teach and at times I am taught. I am both teacher and perpetual student, simultaneously on the flow and within it. 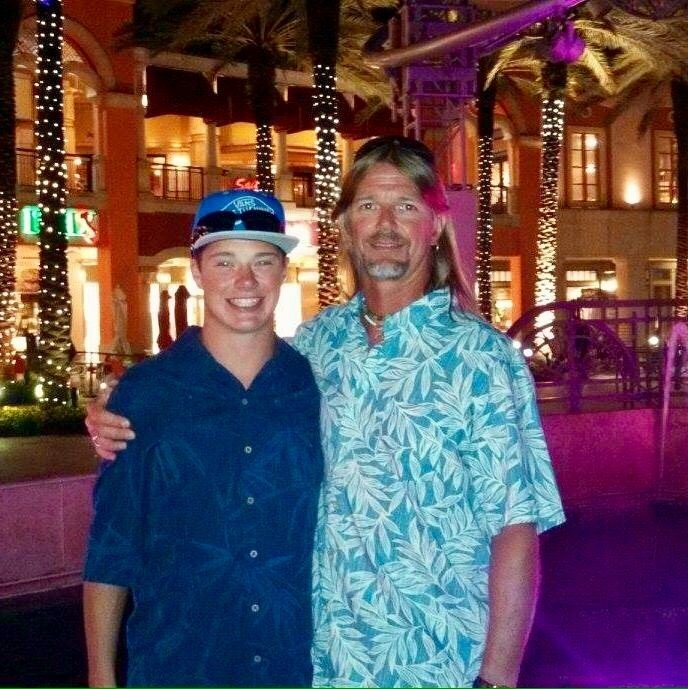 Now the years have passed like winds across the desert – my little “river buddy” has grown into a beautiful human being with a heart of gold that’s as big as his dreams of the future are. We’ve ran epic big water together and he easily paddles his own craft down our favorite runs as he chases my pod. Occasionally the waves wash away the welling tears as I watch my son, my only child, exult in the freedom of the flow and connect to things only a person of the river can know. 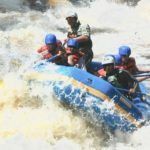 Over the decades I’ve rescued more than a hundred people from the river – most having fallen out of other rafts and I was fortunate to be in the right spot at the right time. I’ve also been lead rescue on a trip that experienced the fatality of a young boy, and though I wasn’t guiding that day in a professional capacity the memories of what I saw and what we all experienced has forever changed my life and that of everyone involved, none in a positive way. 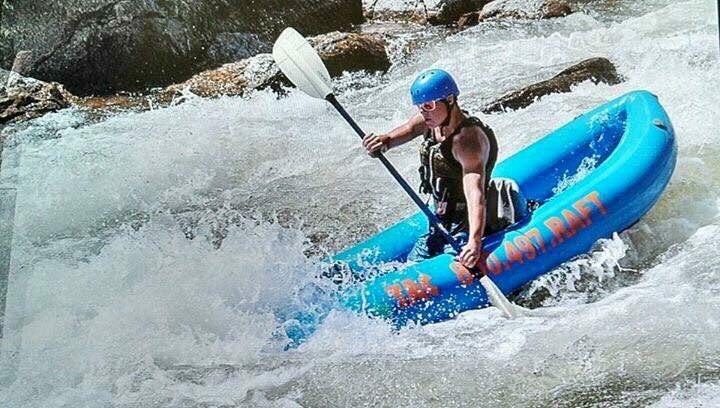 Though that day was a tragedy and cause for serious introspection, and even considering my son was there next to me that terrible trip, never once have I regretted showing my son the love I have for the flowing waters and nurturing his own relationship with the river. Tristan no longer wants to be a pro guide like his Pops, but I know deep down in my heart he will always have a special place in his life for running rivers. 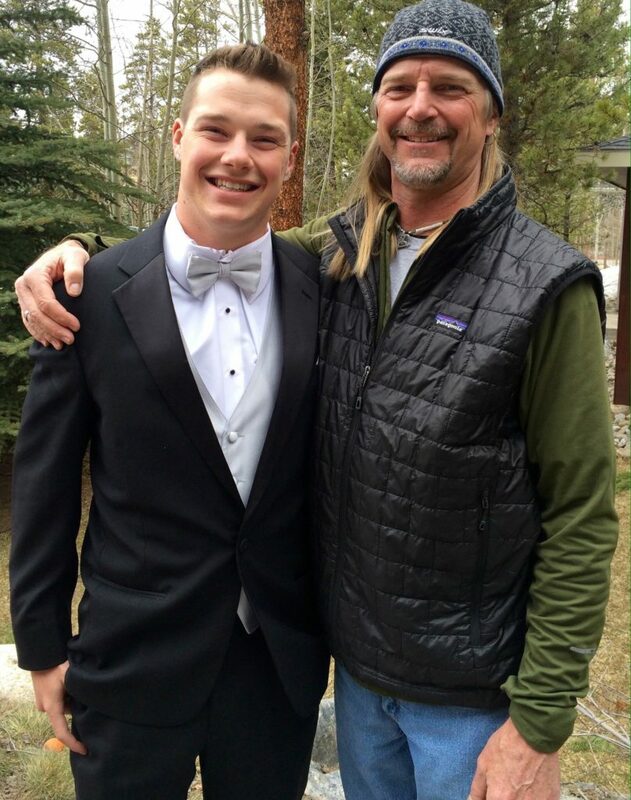 Through them he will always be able to connect with his dad. When I’m long gone from this earth and his children have grown, Tristan will forever remember the beauty and magic that a river can show someone, if only you take that first step and grab a paddle then shove off from shore. 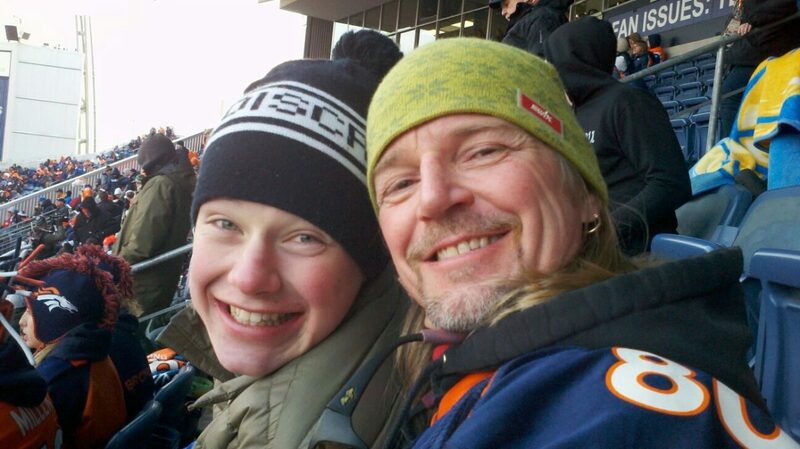 He will always remember all the trips we did together and the beauty he witnessed; the sights and smells will conjure images that will bring tears welling in his eyes as he visits his Pops through memories contained within the icy melt off from the high mountain peaks.